15/10/2011 - Michael Lewis will launch his final attack to the Italian Formula 3 2011 championship from a pole position that destroyed the 2010 record. Confirming the supremacy shown in collective test held last week and in yesterday’s free practice, the American driving for Prema Powerteam stopped watches in 1´45.410, at an average speed of 197.844 Km/h, secured the pole position valid for race one and gained one point for the classification that now sees his gap from the classification leader Sergio Campana reduced down to 18 points. The Modenese driver in turn will start the race behind his rival, in second row, thanks to the third best lap at 367 from the pole and at about two tenths from his team mate at BVM-Target, Brandon Maisano. The pupil of the Ferrari Driver Academy has been the driver challenging the most the pole position of the Californian and managed to lead the charts in the final part of the session before Lewis’ fastest lap on the second set of tyres. Maxime Jousse (BVM Target) and Edoardo Liberati (Team Ghinzani) decided to save a set of slick tyres for the race and used only a set in qualifying but despite of this the managed to set respectively the fourth and fifth absolute times at seven tenths from the pole. 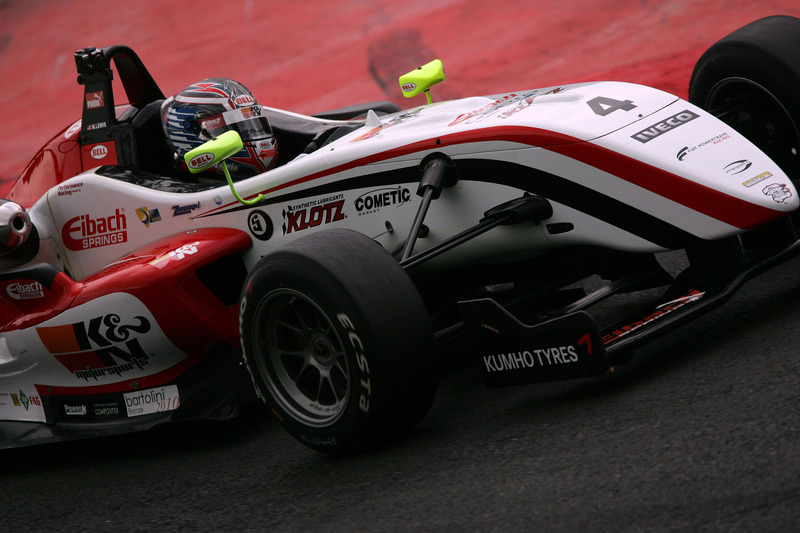 Raffaele Marciello (Prema Powerteam) obtained the sixth time but he did not manage to improve his performance, that was worth the second provisional position, in the final part of the session. The top 8 is all packed in a second from the pole and is completed by the Lucidi Motors cars driven by Victor Guerin and Eddie Cheever in fourth row; they were followed by Andrea Roda (Prema Powerteam) and Simone Iaquinta (JD Motorsport), in fifth and Kevin Giovesi (Lucidi Motors) and Federico Vecchi (LineRace-CO2 Motorsport) in sixth. Facu Regalia (Team Ghinzani) did not get on track and left the circuit early looking at the next round of the Formula 3 Euroseries that will see him racing in Hockenheim next weekend. The first verdict in the classification comes from the point awarded to Lewis in qualifying. The French Jousse had to leave the absolute title fight as now he has 36 points from the top (with 35 points still to be awarded), but the main contenders are still Campana, Lewis (-18), Liberati (-26), Marciello (-26) and Maisano (-31). The fight for the rookies title is more open than ever and sees Lewis, leading at 142 points, followed by the two pupils of the Ferrari Driver Academy, Marciello and Maisano, equal at -7, Jousse at -11 and Cheever at -30 (33 points still to be assigned). The appointment now is for race one at 13.35 (local time, GMT+2) live on TV RaiSport 2.